I told you a few weeks ago that we were headed to Disneyland.. and we are now back from our trip. The kids had a great time since they love all things Disney, and thanks to Get Away Today we found a GREAT DEAL on our vacation. I know trips to Disney, especially for large families, can get to be expensive, but I have quite a few tricks up my sleeve for saving money on our Disney vacations. One of the things I do (besides the tips about bringing our own food and souvenirs) is I also bring our own autograph books. Meeting the characters for a photo and an autograph is a big part of the Disney experience, and you buy autograph books in the park for $25-30. Of course, for three kids that really adds up, so instead of buying them in the park, I make our own. Not only is is cheaper, but they are also personalized with the kids names and the date. I use regular old lined composition notebooks, but if you wanted to do the same thing with a photo album (so you could insert your photos after the fact) you could also do that. 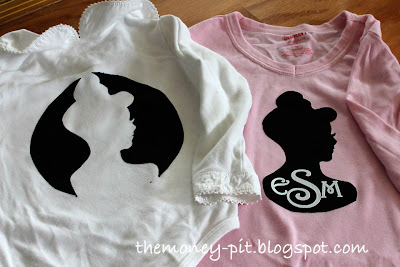 Customizing them is so easy if you have die cutting machine! Trace the cover of the book onto the cardstock. After doing a bunch of these I realized that the covers are all slightly different sizes so you need to make sure you remember which is the front and which is the back. I actually cut one side and glued it, then cut the other side in order to keep everything straight. To attach the covers I spread a thin layer of Craft Bond on the cover of the notebook, added the cardstock and then pressed it flat between heavy books until it dried. It is most important to have the glue all the way to the edges to prevent the cardstock from peeling up. If the cardstock is slightly too large you can always trim it down after it has dried to get a perfect edge. Next I grabbed my vinyl scraps and Silhouette Cameo. I designed my books by downloading a blank set of Mickey ears and adding text. Sorry I can’t provide the file since it is copyrighted but if you google “Mickey Ear Silhouette” and load it to your silhouette software it is pretty easy to trace. The Disney font you want is available on DaFont for free. It is called “Waltograph"
I cut, and transferred the vinyl onto the covers and that was that! 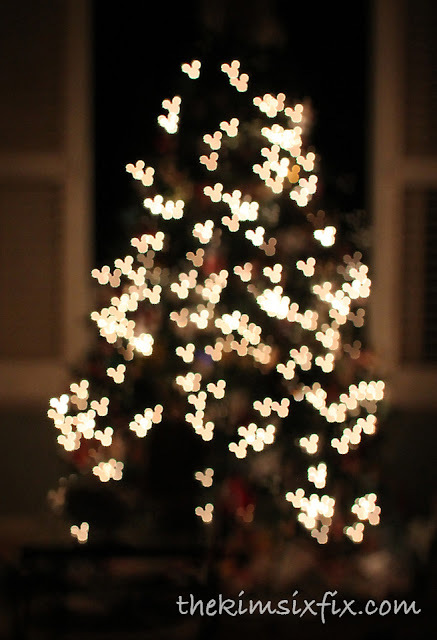 These were so fun for the kids.. and they loved the little bit of sparkle. Not only did they like getting the characters autographs, but they also used the notebooks to draw photos and journal during the trip. 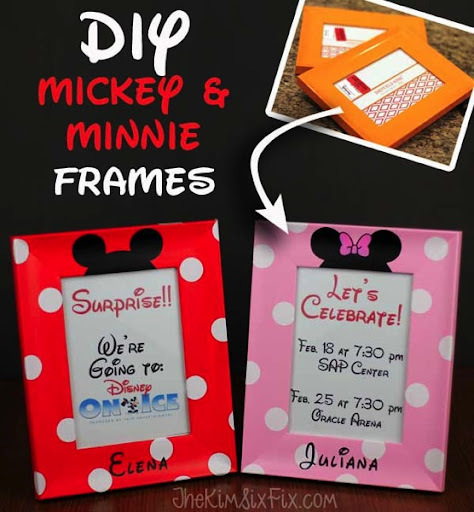 A simple inexpensive way to capture the magic memories of your Disney trip!